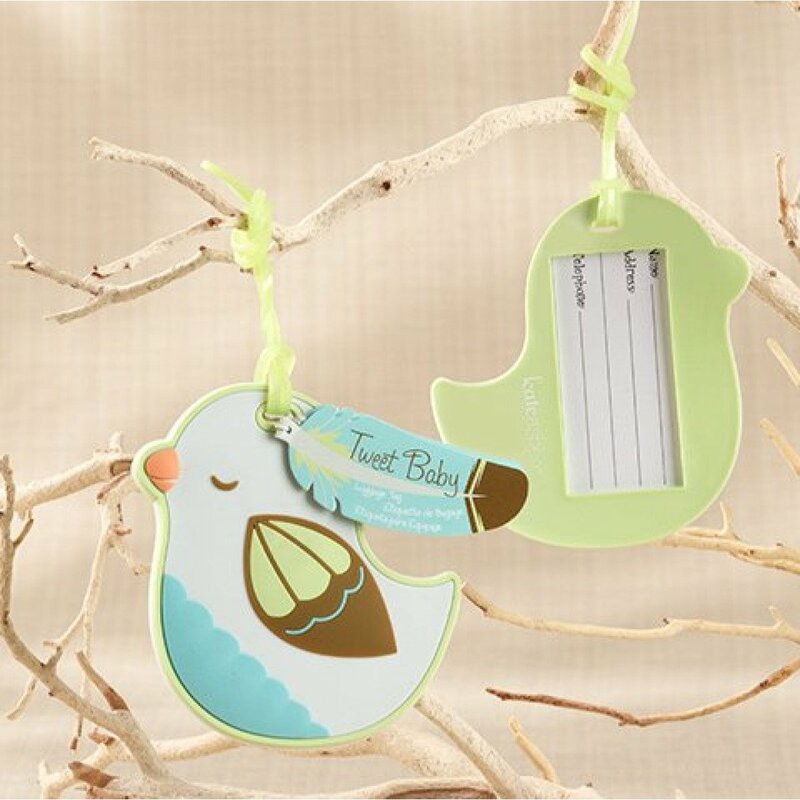 Cute and oh so sweet, these Tweet Baby Luggage Tags are adorable favors for your guests at your baby shower! Present them without their Tweet Baby gift cards to transform these luggage tags in to beautiful wedding love bird favors! Each luggage tag includes a matching feather shaped "Tweet Baby" gift card with space for personal messages to be written, and an insert for travel details (name, address and telephone number) as shown.